An AUSTRALIAN man who deliberately ran down emus in his ute on a country road near the South Australian border has said his actions were the "biggest stuff up" of his life. Jacob MacDonald, 20, was charged with numerous animal cruelty and traffic offences on Friday after the video he filmed of himself running over the emus went viral on social media. MacDonald, pictured, is from Cowangie, a small town only kilometres from the South Australian border. 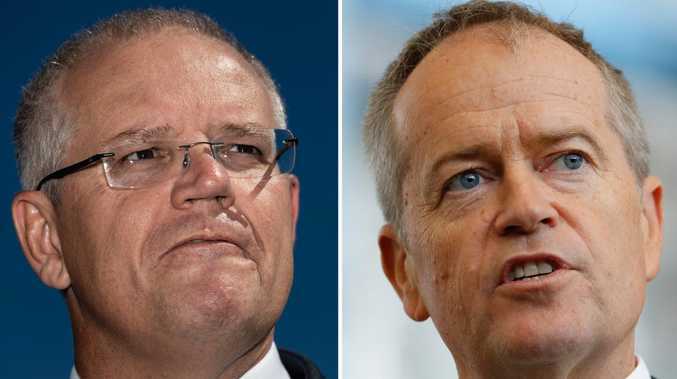 Yesterday, speaking publicly for the first time since the incident, he said that while running down the emus as they crossed Pallarang Rd had seemed funny at first, reality soon caught up with him. 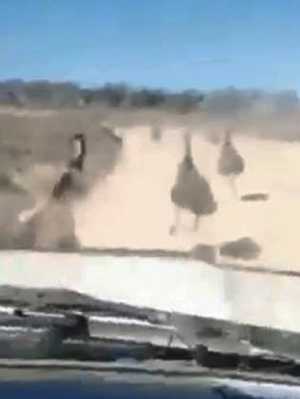 A screenshot from the video footage of the emus being run down. "To start with it was funny, I pulled up to see that they were all dead, but it wasn't too funny after that. It's the biggest stuff up of my life. I'm not proud of it, it was a silly idea." The video was posted to social media, causing wide spread disgust and condemnation. The RSPCA on Friday confirmed that the footage, which they labelled as shocking and horrific, had led to a nationwide investigation to find the man. Victorian Police based out of Ouyen, near Mildura, questioned MacDonald and charged him with several offences. He will appear in court in November.